The Khmer Rouge was the name given to the followers of the Communist Party of Kampuchea, who were the ruling party in Cambodia from 1975 to 1979, led by Pol Pot, The regime led by the Khmer Rouge from 1975 to 1979 was known as the Democratic Kampuchea. The Khmer Rouge subjected Cambodia to a radical social reform process that was aimed at creating a purely agrarian-based Communist society. The city-dwellers were deported to the countryside, where they were combined with the local population and subjected to forced labor. About 2 million Cambodians are estimated to have died in waves of murder, torture, and starvation, aimed particularly at the educated and intellectual elite. 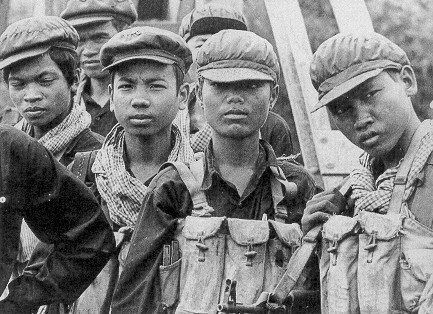 Losing power following a Vietnamese military intervention in December 1978, the Khmer Rouge maintained control in some regions and continued to fight on as guerrillas. In 1998 their final stronghold, in Anlong Veng District, fell to the government. Following their leader Pol Pot, the Khmer Rouge imposed an extreme form of social engineering on Cambodian society�� a radical form of agrarian communism where the whole population had to work in collective farms or forced labour projects. In terms of the number of people killed as a proportion of the population (est. 7.1 million people, as of 1975), it was the most lethal regime of the 20th century. The Khmer Rouge wanted to eliminate anyone suspected of "involvement in free-market activities". Suspected capitalists encompassed professionals and almost everyone with an education, many urban dwellers, and people with connections to foreign governments. The Khmer Rouge believed parents were tainted with capitalism. Consequently, children were separated from parents and brainwashed to socialism as well as taught torture methods with animals. Children were a "dictatorial instrument of the party" and were given leadership in torture and executions. One of their mottoes, in reference to the New People, was: "To keep you is no benefit. To destroy you is no loss." The ideology of the Khmer Rouge evolved over time. 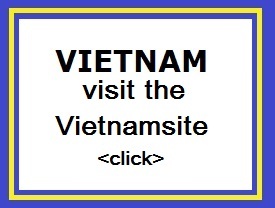 In the early days, it was an orthodox communist party and looked to the Vietnamese Communists for guidance. It became more anti-intellectual when groups of students who had been studying in France returned to Cambodia. The students, including future party leader Pol Pot, had been heavily influenced by the example of the French Communist Party (PCF). After 1960, the Khmer Rouge developed its own unique political ideas. Contrary to Marxist doctrine, the Khmer Rouge considered the farmers in the countryside to be the proletariat and the true representatives of the working class, a form of Maoism which brought them onto the Chinese side of the Sino-Soviet Split. They starting to incorporate Khmer nationalism into their ideology, as well as anti-intellectualism by this time. This was evident in the persecution of ethnic Chinese, Thais, Muslims, Christians (most of them Catholics), etc. By the 1970s, the ideology of the Khmer Rouge combined its own ideas with the anti-colonialist ideas of the PCF, which its leaders had acquired during their education in French universities in the 1950s. The Khmer Rouge leaders were also privately very resentful of the Vietnamese, and were determined to establish a form of communism very different from the Vietnamese model and also from other Communist countries, including China. 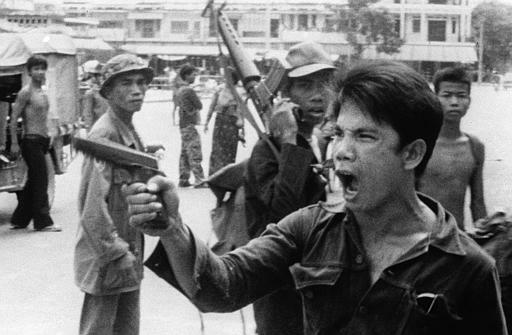 After four years of rule, the Khmer Rouge regime was removed from power in 1979 as a result of an invasion by the Socialist Republic of Vietnam and was replaced by moderate, pro-Vietnamese Communists. It survived into the 1990s as a resistance movement operating in western Cambodia from bases in Thailand. In 1996, following a peace agreement, their leader Pol Pot formally dissolved the organization. Pol Pot died on 15 April 1998, having never been put on trial. The Khmer Rouge is remembered mainly for the deaths of an estimated 1.5 million people or 1/5 of the country's total population (estimates range from 850,000 to 2.5 million) under its regime, through execution, torture, starvation and forced labor. Because of the large number of deaths, and because ethnic groups and religious minorities were targeted, the deaths during the rule of the Khmer Rouge are often considered a genocide as defined under the UN Convention of 1948.